Catherine Galli (aka Cat) was first introduced to Meditation sometime back in 1985 as a Tae Kwon Do student. It wasn't a daily practice but it was enough exposure for her to know she liked it… “Even at a young age I felt the benefits and effects of Meditation. It was not only an outlet from the physical activity I was doing but brought a sense of peace & calming to my life that I wasn't necessarily getting at home.” A few years later as a sophomore in high school she took Yoga as what she explains “for all the wrong reasons, I didn't really know what yoga was, but heard I could “sleep” in gym class and get an easy passing grade. But it only took one class to become hooked. The physical practice, and guided meditation was something I not only needed in my life but craved”. - I'm a level 1 Crossfit trainer and I love to sprinkle in the benefits of yoga in my classes for my athletes. - As a lifter I enjoy training and participating in sanctioned Olympic lift competitions. Alice loves teaching yoga to all ages. She began her yoga journey in 2001, and her personal practice led her to earn certification from Ashram Yoga in 2015, as taught by Lili Avery. 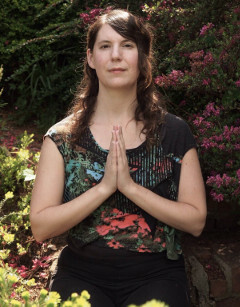 In her mindful flow of poses, she creates a safe space for students to connect to the stillness within. Alice also teaches children’s yoga, and is a Reiki Master Teacher. She believes yoga is the perfect tool to uplift ones spirit, calm the mind, and nurture the body. Melissa is a mother to four children ages 7-14 and has been practicing yoga for over 20 years. She is honored to share her love of yoga & meditation with babies, kids and adults. 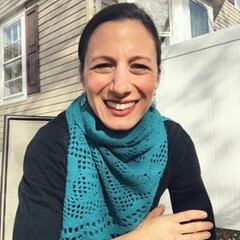 Certified through Childlight Yoga, Melissa has taught several yoga series at the local elementary school, in her own home studio and at Bella Buddha in Belmar. She has studied with Jyothi Larson in her Yoga Mama, Buddha Baby course for new moms. Melissa is also a Young Living Independent Distributor and loves to share natures living energy AKA Essential Oils with her yogis and community. Marlene’s love of teaching yoga stems from her desire to share what has brought her to a better understanding of wholeness. Not just the desire to look better, but to incorporate whole body wellness. After years of painful injuries, yoga has kept her fit, pain free and enthusiastic to learn more. Jackie’s introduction to yoga began in 2009 before her feet even touched a mat when she took an Asian studies class called “Zen and Yoga” as an elective at Seton Hall University. There she learned yogic philosophy and read Deepak Chopra’s “The Seven Spiritual Laws of Success,” which changed her life and set her on the path to a physical yoga practice. Jackie received her 200 hour teacher training back in 2014 from Soul Power Yoga in Marlboro and has been teaching in the area ever since. She believes yoga is for everyone & her classes always focus on breath. Jackie lives in Keyport with her fiancé Nick and 2 cats, Marv & Arnie. Terry Mares has followed a daily, dedicated meditation practice since March 2016. He came to mindfulness in an effort to lessen the effects of anger, frustration, and anxiety, in his own life. Since he established his practice, he has learned to respond as opposed to react. That has resulted in not only making him more calm and patient, but also more focused. 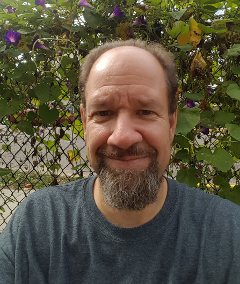 He continues to learn about approaches to mindfulness through books, periodicals, and online resources and seminars, believing that you can never stop learning new methods to improve your practice. Because mindfulness has worked for him, he is happy & willing to share its gifts with others. Besides mindfulness, Terry loves a wide variety of music, gardening, cooking, and reading. 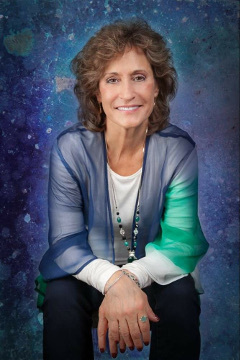 Judy is a Chopra Center Master Educator, having completed The Perfect Health Ayurvedic Lifestyle Program, Primordial Sound Meditation Instruction, and the Seven Spiritual Laws of Yoga (200 hour) teacher training at Chopra Center University in Carlsbad, California. Judy is humbled to share the traditions of her teachers: Deepak Chopra, David Simon, DavidJi, Claire Diab, Mary Ann Lynch Gebhardt and all her powerful teachers and guides. She continued her practice and received her 500-hour Yoga teacher certification with Claire Diab (creator of the Chopra Center’s yoga program) at the American Yoga Academy in Summit, New Jersey. She is a National Strength and Conditioning Personal Trainer (NSCA) and a Massage Therapist licensed by the New Jersey State Board of Nursing. 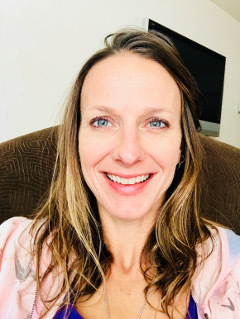 She received her certification as an Integrative Nutrition Health Coach and is registered with the American Association of Drugless Practitioners. The Seven Spiritual Laws of Yoga is based on the book, The Seven Spiritual Laws of Success by Deepak Chopra. These “laws” teach us that harmony, happiness, and abundance are available to anyone willing to embrace a consciousness-based approach to life. Each class is infused with a different law empowering us to create a more mindful approach to our days. Judy concentrates on balance and relaxation techniques including mindful-movement, and a practice that is centered on breath awareness and focused attention. Each class is infused with a different law to create a meaningful and grounding experience. Her teaching style is enjoyable, calming, uplifting, and compassionate. She believes that each student comes to the mat in a different place, having different needs and varying spiritual and philosophical beliefs and that learning to respect that individuality is the true definition of yoga. Her goal is to inspire and empower her students to explore all aspects of yoga, both on and off the mat, in order to create a balanced and stress-free life amidst the often the chaotic pace of the 21st century. Christine deSimas has been directing and performing in theater for over 30 years. A graduate of SUNY New Paltz with a Bachelors of Science degree in Musical Theater, she is thrilled to come back to her roots with this course. Her passion for both performing and directing was born from her involvement in something called “SING!” at James Madison High School in Brooklyn, NY. SING! is an annual student run production where students are allowed to write their own scripts, lyrics to songs, sets, costumes, direct, produce, perform - all of it. These student-created shows became an important and life-altering experience for many well known NY performers and will be the foundation of what she teaches in this workshop. Christine’s decades of theater experience include NYC cabaret shows, acting, singing, cast recordings, showcases, improv, character study, theater history, directing, lighting, scene design, sound engineering, Girl Scout leading and mom-ing three young kids, two of which share her passion for theater. It is a thrill to be given the platform to share this passion with others and by using theater, show them how awesomely creative they are!